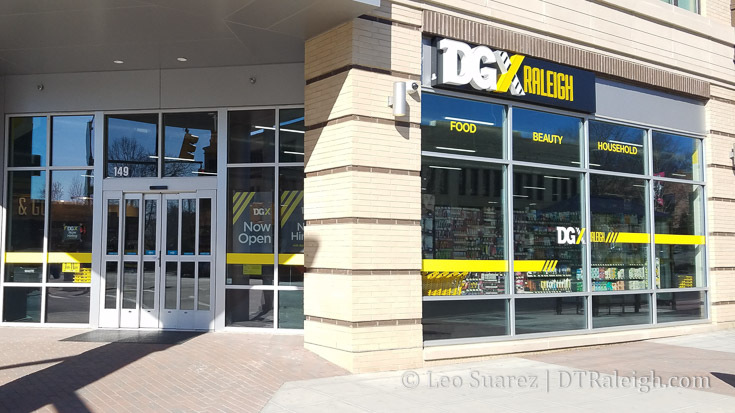 A new concept for the company, this store, Dollar General Express, is now open in The Edison Lofts at the corner of Davie and Blount Streets. The store contains more convenience items rather than cheaper home goods like the larger stores. It’s actually a decent convenience store with some grocery items. High-end, gourmet retail is nice but sometimes, you just need the quick and easy. From a resident’s point-of-view, I welcome the new store and hope it succeeds.